After a two year sabbatical, we are refreshed and ready to embark on an exciting new Haiti Project which we are calling H4H – Help For Haiti. We will be working side by side with Mission of Hope Int. and Pastor Lex and Renee Edme in Grand Goave, Haiti. 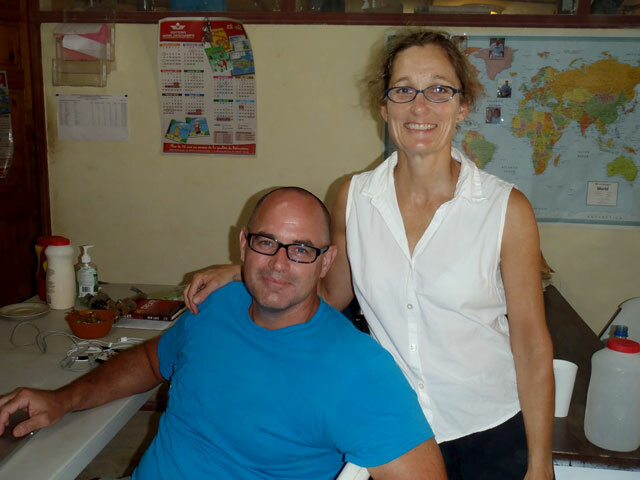 We have 12 years of experience in Haiti, having made dozens of short to mid-term trips to MOHI. This next step is a natural continuation of our ministry here to help the impoverished people of Haiti. As licensed administrators of the ISOM curriculum in Haiti we will focus on continuing education, leadership training and community development, as well as special programs for women (WOW) and for youth (Youth Bytes). You can visit their website for more info at http://www.isom.org. Community development will include topics from nutrition, dental health, women’s reproductive system and child rearing to farming, water purification and practical uses of the plants here in Haiti and everything in between. Combining health clinics with video presentation workshops. The entire program has been recorded on DVDs in English with translations in both Haitian Kreole and French (the language used for formal education in Haiti.) thanks to the generosity of P. Paul Berube and Grace Fellowship, Nashua, NH. In turn the DVDs have been transferred on a tiny micro chip which can be played on a small solar powered battery operated projection system and presented virtually anywhere we can get ourselves to! There is amazing potential here to influence an entire nation, one community at a time. So where do we start? Well, we have taken the first step by coming to Haiti on this trip to meet with Lex and Renee and see what we can do using MOHINTL as our base of operations and contacts we have already established here to pinpoint where the needs are and how to apply the tools we have been given in the most effective manner we can. One thing we know from past experience is that you can’t just bring “programs” to Haiti and “drop them off” to work by themselves. Someone needs to be here in Haiti, spending time with the people in order for them to benefit from the programs. We have to show by example and see the whole process through to completion before we can hand off the baton and expect them to replicate what they have learned. 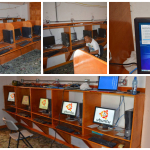 Our ultimate goal is to train Haitians to train other Haitians and make these programs their own. We haven’t figured out exactly how to do that or what that looks like for us but we have begun the process. No small task you have set before you, but noting is impossible with God. I will hold you up prayer and send funds when I can. Haiti has always had a place in my heart and I have often prayed for the people, especially the children. God’s Blessings on all do!